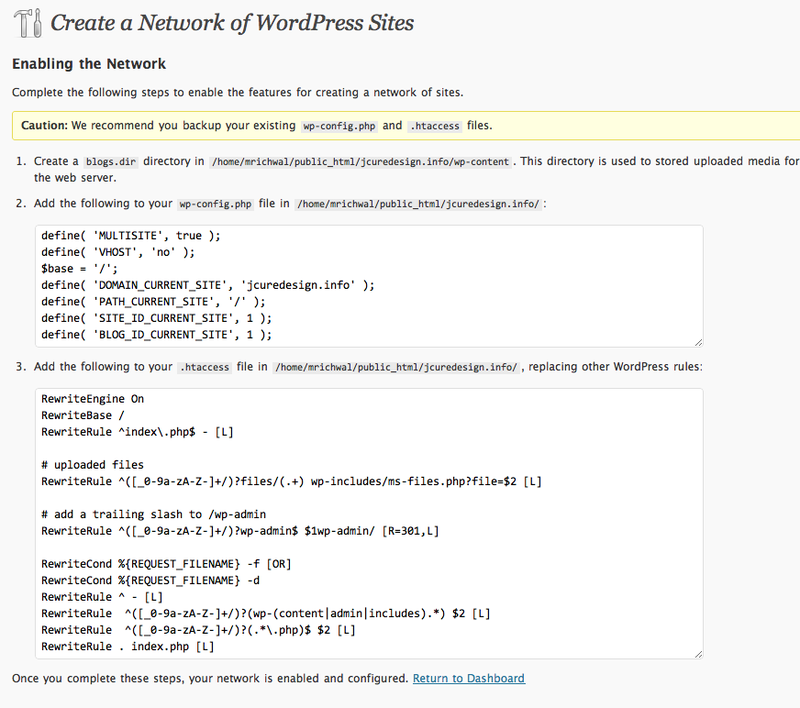 Today, the WordPress team released a public beta of its next version, 3.0. There are a lot of new features and functions in this release, which is on track for a May release. You can read the blog post detailing this beta release here. This will be nice if the things you post are not just blog posts but videos, podcasts, etc. 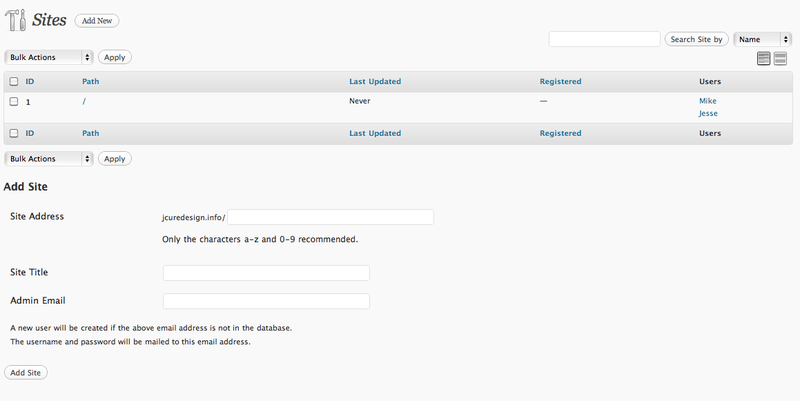 Now WP can manage those specially if necessary. Here’s a post where you can learn more about this. 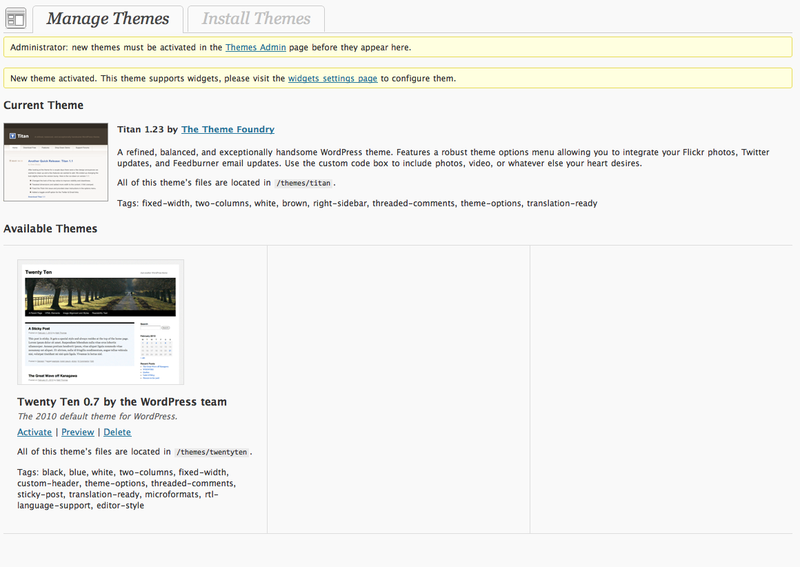 Not a huge deal, but the new default theme when you create a new site is much nicer than it used to be. Most of us change this immediately anyways, but its nice its been updated and looks a bit more modern. In 3.0 you can create templates for specific authors. I know you could do this for categories in 2.9, but this is sort of interesting if you want certain user’s posts to look and behave a certain way. This is one of the features I’m most excited about. 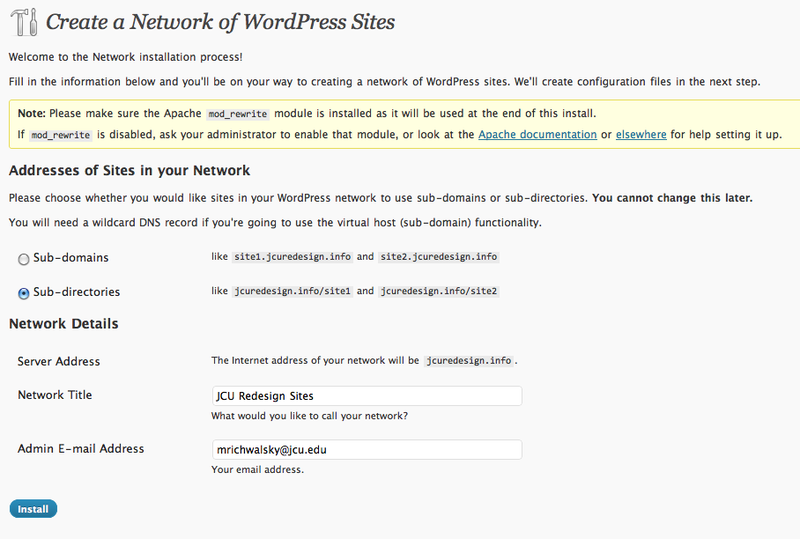 At Allegheny, we were using WordPress MU as our CMS (and it’s a frontrunner here at John Carroll as well) and the MU codebase allowed for multiple sites to be run from one WordPress install. It was treated as a separate product and was often behind the main code when it came to updates, features and so on. 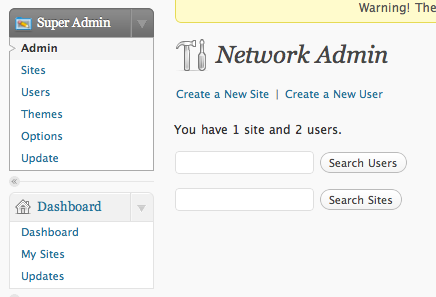 Now, WP and WP MU are merging so you can easily create new sites from one 3.0 install. This is interesting. I’ve installed the beta this morning and tried out a few things and so far, so good. I’ve turned on the network of sites feature and created a subsite and it looks and feels just like MU. This is good. The question is how will it be to upgrade current MU installs to 3.0 and will all those sites break? Let’s hope not. 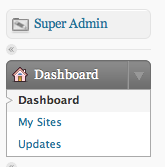 Do these features mean WP is moving more and more towards a full-featured CMS and leaving behind its blog roots? I’m not sure, but it sure does feel that way. 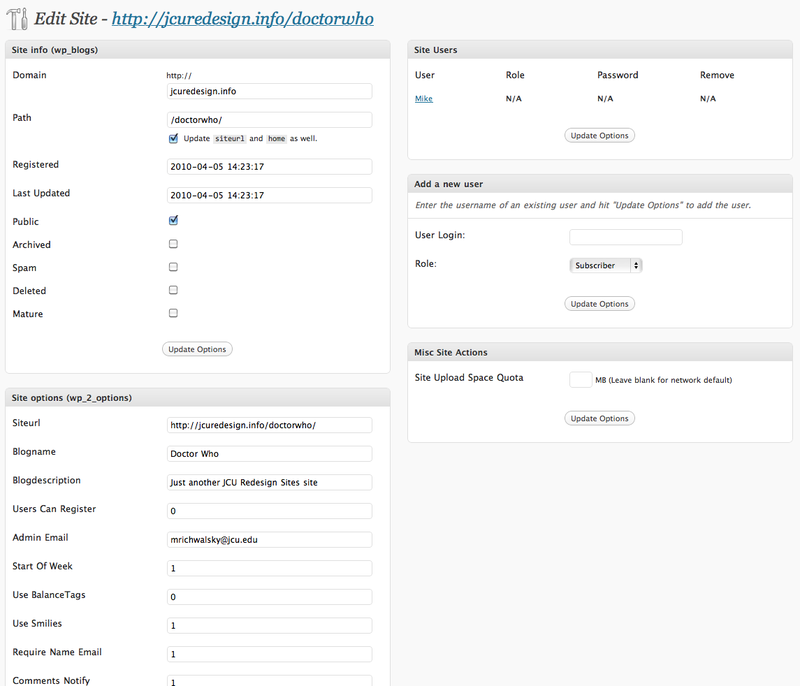 Here are some screenshots I took this morning of the multi-site setup and blog creation areas.